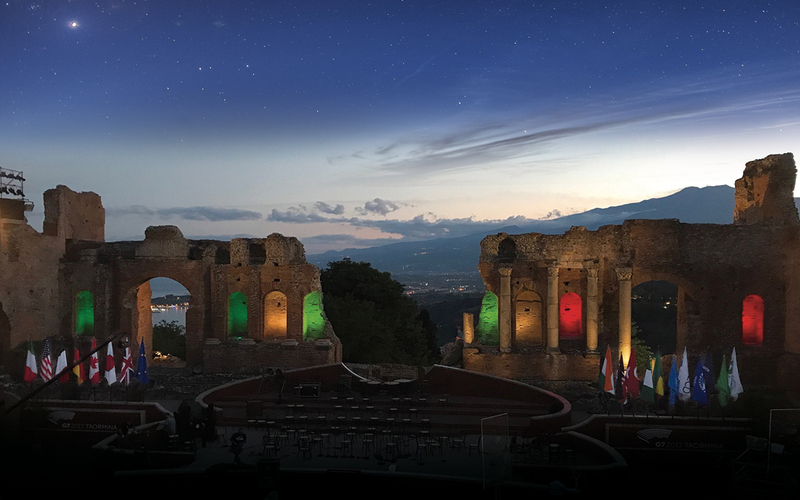 The Greek-Roman theater of Taormina was illuminated in a preview during the 43rd G7 summit, chaired by the Italian President, Paolo Gentiloni, Friday the 26th of May. At the end of the Milan Philharmonic Orchestra’s concert, directed by South Korean master Myung-Whun Chung, in the presence of Heads of State and Government and Official Delegations, the ancient theater was lit thanks to a new lighting system designed by iGuzzini. In agreement with the Department of Cultural Heritage and Sicilian Identity, iGuzzini was selected by Metaenergia for the new lighting system. The energy service company signed an agreement with the Department for the supply of energy and other related services for the period 2013-2017 and chose iGuzzini for its highly recognized expertise in improving culturally significant locations through a proper use of light. The new lighting, which had its debut during the G7 summit, is part of a wider strategy of energy efficiency of real estate and archeological areas of the territory undertaken by the Department. 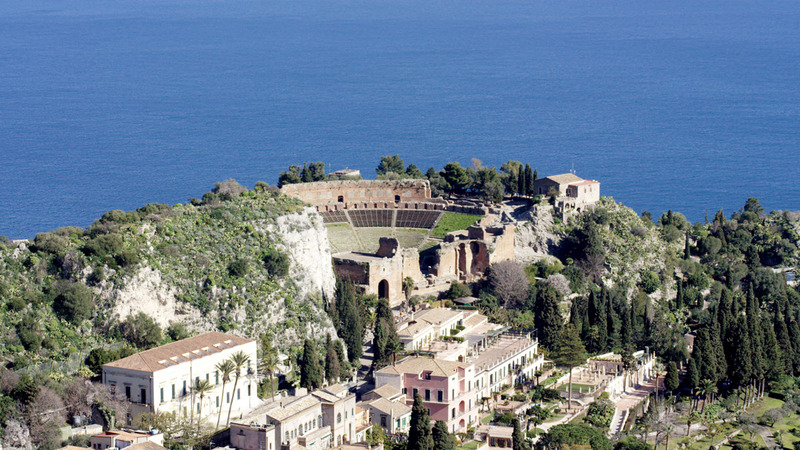 In the case of Taormina, the new lighting system aimed to enhance classical architecture through light as well as to ensure safe enjoyment during the night. Similarly, equipment with minimal visual impact, warm color temperature and good color rendering has been used in order to enhance architectural and landscape peculiarities and the uniqueness of the volumes. The integration of new luminaires into the existing system with high performing DALI LED components allowed for a significant decrease in consumption and operational costs. The new lighting will be inaugurated at the end of June and will be open to the public after sunset for the first time in the history of the archeological site, bringing a new social organization around the management and enjoyment of the site, an initiative that perfectly fits with iGuzzini’s mission of Social Innovation through Lighting. Products used: iTeka bollards, Underscore InOut Side Bend, Woody, MaxiWoody, MiniWoody.